Most of us could use more storage in our home. Extra storage can keep your home free of clutter. When storage is thoughtfully designed, it can improve the function and look of your space. Storage can also maximize space in your home. Fortunately, there is an all too overlooked space in your home that is perfect for storage. 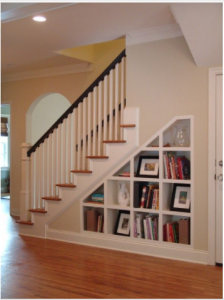 Your stairs are ideal for installing extra shelves, cabinets and built-in drawers. 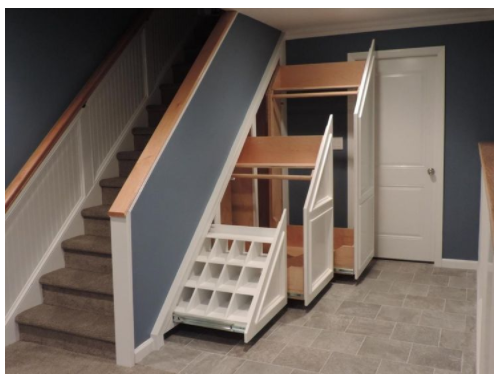 Utilizing under stairs storage space solutions can help to declutter and create functionality in an otherwise unused space. Homeowners are always looking for some place to put all of those space hogging shoes. 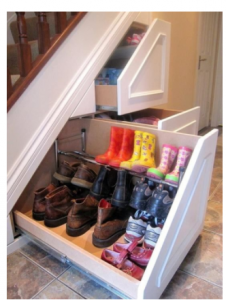 This stair design provides functionality and convenience while storing shoes away with ease. 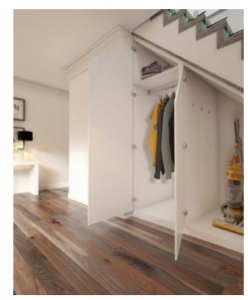 This under stair storage provides space for coats and a vacuum cleaner. This is perfect for small spaces. No room for an office, that’s alright! Use the open space underneath your stairs for a little work nook. This idea is brilliant! 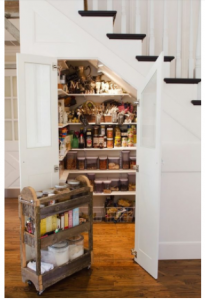 The owner of this space turned the area underneath the stairs into a pantry. This clever bookshelf keeps knick knacks and reading materials tucked away and out of sight. 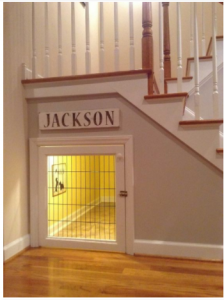 Dogs are people, too, which is why your dog should probably get his or her own little haven underneath the stairs.